Rev. Dr Wallace Schulz has boldly proclaimed the Gospel in pulpits, in print, and over the airwaves throughout North America and around the world. 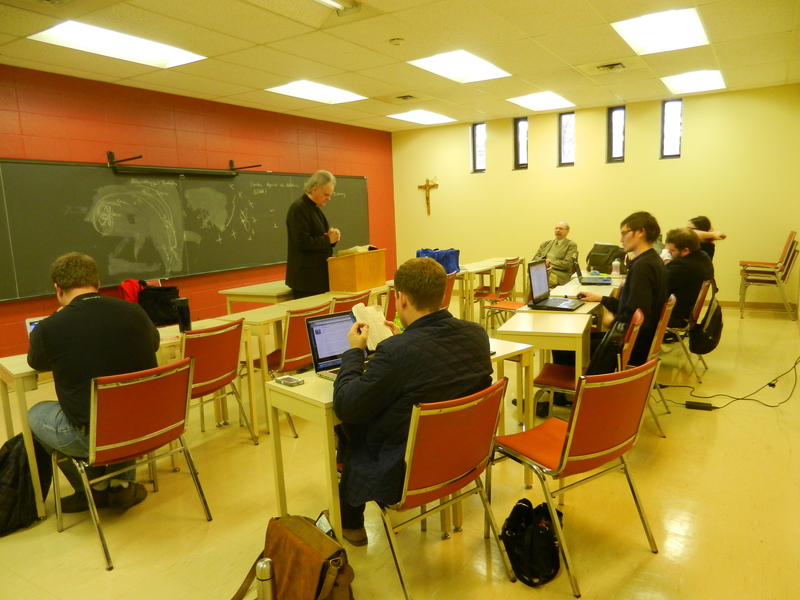 This past week, 3-5 November, he served as a guest preacher and presenter at the seminary. 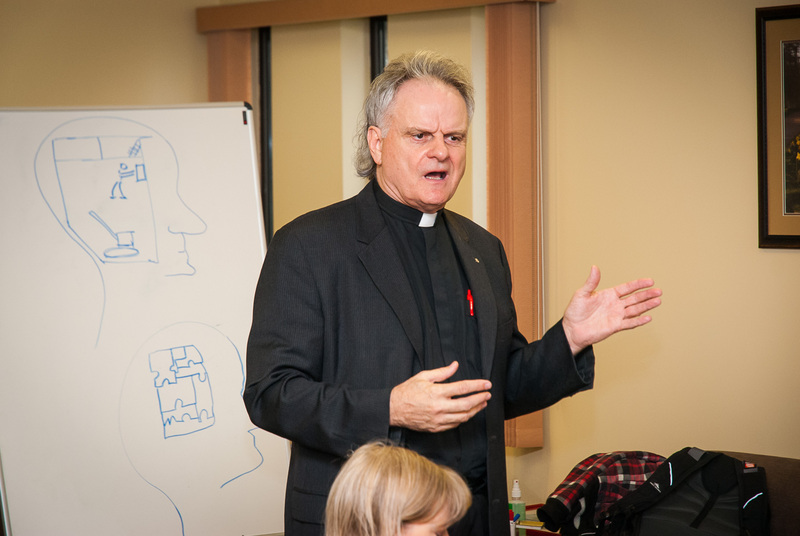 In the chapel, in the classrooms, and during a lunchtime convocation he focused his listeners on clearly communicating the message of salvation through faith alone in Jesus Christ. Drawing on his experience as pastor, Lutheran Hour speaker, former LCMS vice president, and evangelist for the Lutheran Heritage Foundation (LHF), Schulz continues to proclaim the Gospel in the United States and more than a dozen other countries by writing and editing Good News magazine, designed to introduce new Christians to the foundations of the Lutheran faith: Scripture and the Lutheran Confessions. Rev. Schulz has spent a great deal of time overseas, doing the work of an evangelist. He was the first person from the LCMS to enter the former Soviet Union. Along the way, he found opportunities to tell people about Jesus Christ, and alerted the LHF executive director of the need for printed Christian materials. To help provide pastors, Rev. Schulz started a program to bring Russian men to study at LCMS seminaries. For more than a decade, he has also maintained contact with and assisted underground Christian churches in China and Cuba develop ways to distribute Christian materials in those countries. Rev. Schulz’s ability to simply but powerfully explain Scripture also strengthens lifelong Lutherans’ faith and understanding. 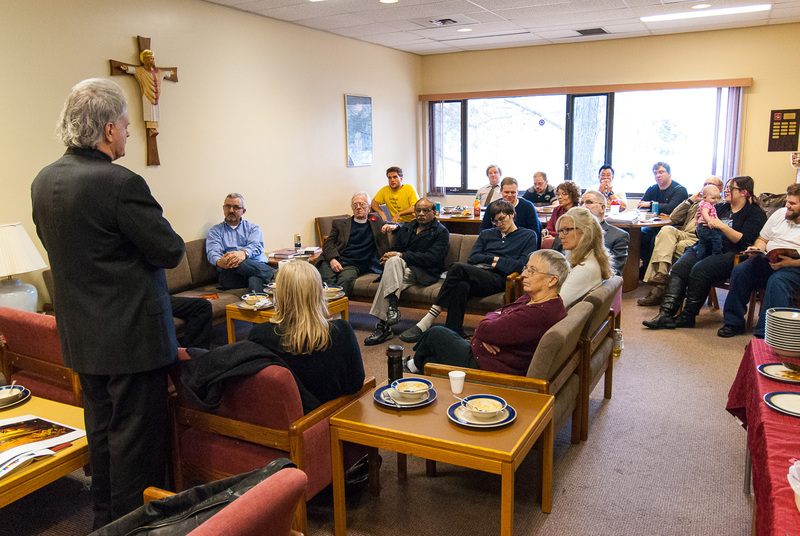 Concordia’s students, staff and faculty appreciated this opportunity to learn such lessons from a lifetime of ministry and mission work.